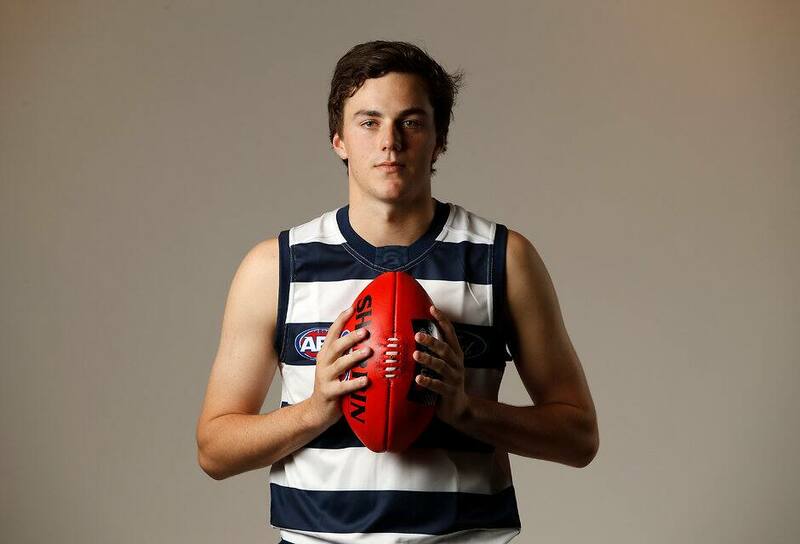 GEELONG draftee Jordan Clark is just about in full training after overcoming a bout of glandular fever that required careful management in his first six weeks at the club. Clark, pick No.15 in the 2018 NAB AFL Draft, was only able to complete about 20 minutes of training in individual sessions prior to Christmas before the Cats' fitness staff stepped in and pulled him out of the drills. The restricted workload was a preventative measure to ensure the glandular fever did not progress to something more sinister such as chronic fatigue syndrome. The West Australian was diagnosed with glandular fever prior to November's draft, but the Cats had no hesitation in taking the attacking defender with their top selection. "I didn't do too much before Christmas and I was on a pretty limited schedule in terms of running and conditioning and all of that sort of stuff," Clark told AFL.com.au. "I literally couldn't do much because they were worried it would turn into chronic fatigue or something like that. "I struggled a little bit early on, just being tired and what not, so they cut back a little bit and it made it pretty easy for me." Despite not being able to train much, Clark used his time on the sidelines as a learning opportunity, poring over training vision and picking up hints along the way from his defensive teammates. "You're just there standing and watching and not participating. It was pretty tough but I got through it pretty well and it's just good to be back doing things now," Clark said. "Now we've done two sessions after Chrissy (Christmas) and I've been able to do most of the training and just missing out on one or two drills at the end of training so I've been able to do most of it, which has been good." Clark has started training with the defenders and had a standout moment in Saturday's session when he floored teammate Jed Bews with a big hit that left his teammate gasping for air in a tackling/pressure drill. When you watch Clark play, you'll notice that he's not afraid to be physical. And, at 185cm and 80kg, he backs his ability to leave his man to impact the ball in the air and he loves taking the game on from the back half. Clark averaged 20 disposals and almost six rebound 50s for Western Australia in last year's NAB AFL Championships and showed in his five appearances for Claremont in the WAFL seniors that he could make a quick jump to elite level football. For now, though, Clark's focus is on getting through full training sessions and, from there, putting himself in the frame to be part of the Cats' JLT Community Series squads. "The next couple of weeks I'm just hoping to give it a crack. Being a young fella coming in you just want to do everything so hopefully I can get through the whole program for the next couple of weeks," Clark said.